Intense rains and harsh weather that flooded several communities in the Caribbean and northern regions of Costa Rica in recent days also has affected local access roads, infrastructure and the ecosystems of several of the country’s national parks, public officials say. According to Costa Rica’s National System of Conservation Areas (SINAC), mudslides and flooding damaged access roads and collapsed sewers in several parks, some of which were forced to close access to visitors. Those closings mostly occurred in the Central Volcanic Range, the La Amistad-Caribe area and Tortuguero National Park. In Braulio Carrillo National Park, located between Costa Rica’s capital and the provinces of Limón and Heredia, a tree fell on the park’s offices and destroyed a classroom used for environmental education. Flooding damaged bridges and blocked access to several areas of the park, power lines were downed, and potable water sources were cut off. Visitor access currently is being regulated. Access also is blocked at La Amistad-Caribe Conservation Area, in the southern Caribbean, and flooding in Barbilla National Park has prevented residents from returning to or leaving several indigenous communities. 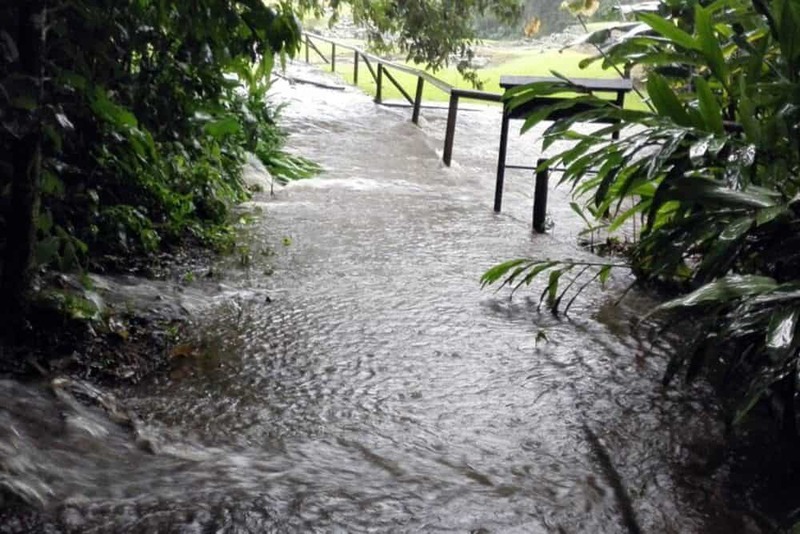 SINAC reported that flooding in Cahuita National Park in Limón covered a large portion of beach at Puerto Vargas and caused major damage along seven kilometers of coastline. Bridges, park ranger dorms, entrance booths and several tourist trails were damaged. Powerful waves and strong winds destroyed park infrastructure along the beach including docks at Gandoca Manzanillo National Wildlife Refuge. Sea access to the park is now limited. Even worse, park administrators estimate that floods destroyed at least 300 leatherback and hawksbill turtle nests, which is about 80 percent of the total nests at that beach. SINAC is currently evaluating the damage at Tortuguero National Park. On Saturday, Costa Rican President Luis Guillermo Solís issued an emergency red alert – the highest of the country’s three alert levels – across the Caribbean province of Limón and in the cantons of Sarapiquí, in Heredia, and Turrialba, in the eastern province of Cartago. Tenorio on Thursday told The Tico Times that visitor access to the park will reopen on Monday. SINAC officials currently are coordinating an on-the-ground inspection by a group of archeologists to assess the damage to the pre-Columbian ruins. 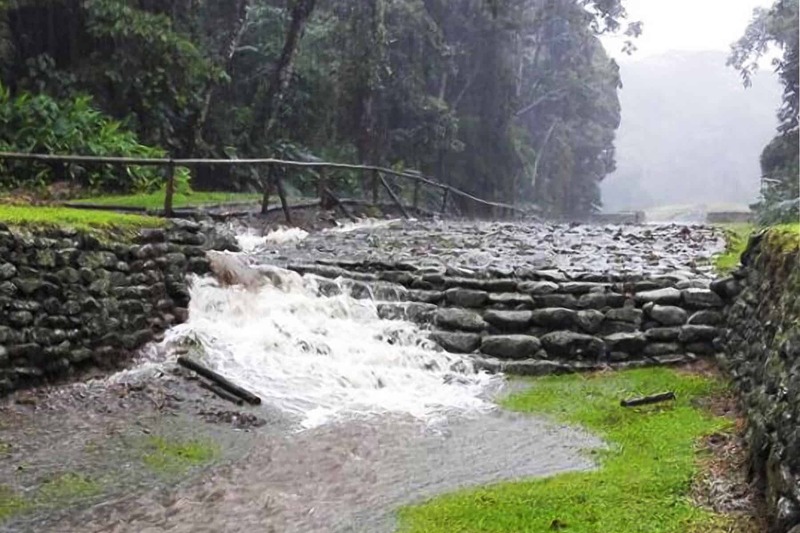 Access to Turrialba Volcano National Park was blocked by mudslides. Tourists can reach some areas, and park staff continue to monitor all trails near the volcano. That volcano has been extremely active in recent months, as we extensively reported here. Follow ticotimes.net for updates as damage reports from the recent adverse weather continue to come in.